KAI-FU LEE is the founder of Sinovation Ventures, a venture capital firm geared to create the next wave of Chinese high-tech companies and to mentor the next generation of Chinese entrepreneurs. He is currently listed by Forbes as #1 in technology in China. Sinovation Ventures manages nearly $2 billion in capital, is regarded as the most technology-savvy investor in China, having invested ahead of the wave in areas of mobile Internet, Internet entertainment, artificial intelligence, and autonomous vehicles. The firm is often regarded as a catalyst to the new wave of entrepreneurism in China. Prior to starting Sinovation Ventures, Lee was a Google Corporate President and the President of Google Greater China from 2005-2009. During Lee’s tenure, Google’s map, mobile map, mobile search, and translate have all become #1 in the market. At Google, he also managed Google’s Asia R&D for most of Asia. Lee spent seven years at Microsoft from 1998-2005. His last job was Corporate Vice President at Microsoft. He also founded Microsoft Research Asia in Beijing, one of the world’s top research labs. MIT Technology Review calls this research lab "the hottest computer science laboratory." From 1996-1998, he was Vice President and General Manager at Silicon Graphics (SGI), where his team developed a $200 million line of web servers. From 1990-1996, Lee spent six years at Apple, where he became the Vice President of its Interactive Media Group, one of the pioneering groups in multimedia in the world. His many awards include Time 100 (one of the 100 most influential people in the world) in 2013, the inaugural "High-Tech Innovative Leader" award by the Silicon Valley of China, the "Top 10 People in 2009" award by China Brands, the "Most Admired Person by University Students" award by People Network in 2005, and the Best Paper Award by IEEE Signal Processing Society in 1989. He has authored ten US patents, and over one hundred journal and conference papers. 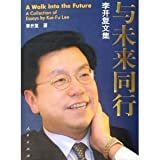 In addition to his technology and investment roles, he is also an author of seven top-selling books in China (two of the books sold over one million copies): Be Your Personal Best, Making a World of Difference, Seeing Life Through Death, A Walk Into the Future - A Collection of Essays To Students With Love - Online Dialoge Between Kai-Fu Lee and Chinese Students, Weibo Changing Everything, and Artificial Intelligence. 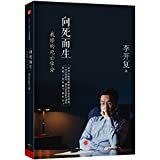 His first book in English, AI Superpowers: China, Silicon Valley, and the New World Order, will be published in September 2018.